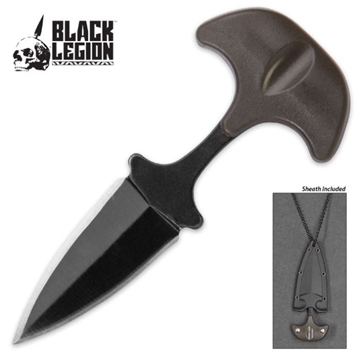 Black Legion Knives, Tools, and Weapons - A survival based knife brand from United Cutlery. 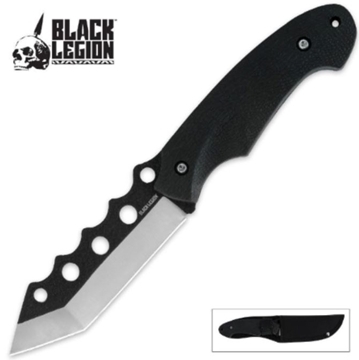 Danger, Will Robinson, danger! 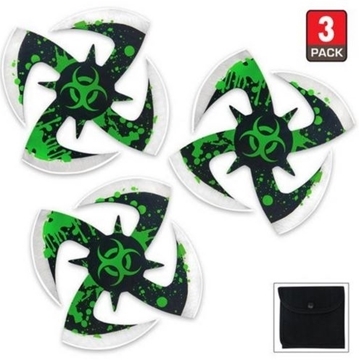 These Biohazard shuriken are sure to make a mess wherever they stick! 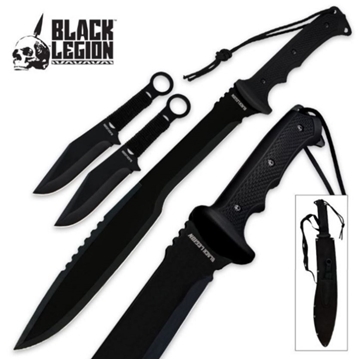 Set of three stars includes carrying pouch. 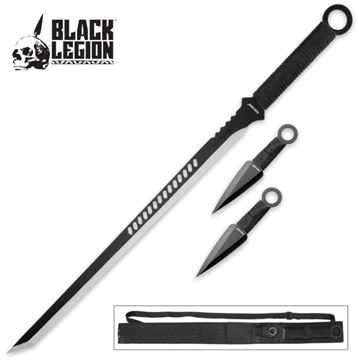 Full tang black and chrome ninjato with two throwing knives included! 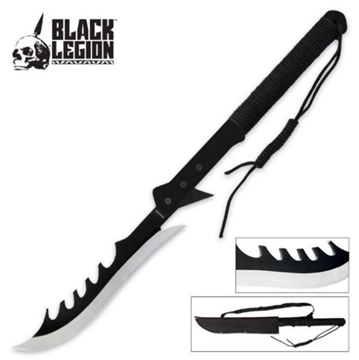 This is one fierce machete with its jagged blade design! 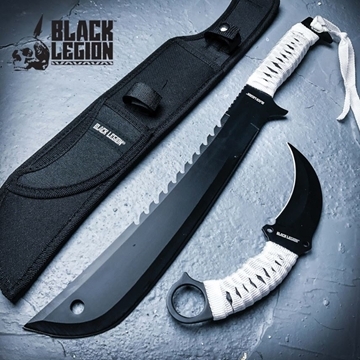 Full tang black and chrome machete with two throwing knives included! 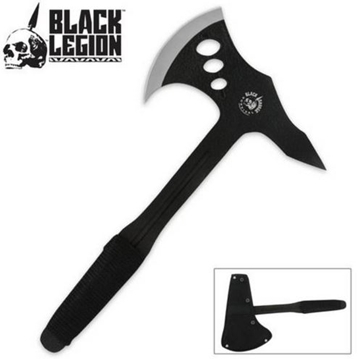 This throwing axe from Black Legion really is one savage thrower! 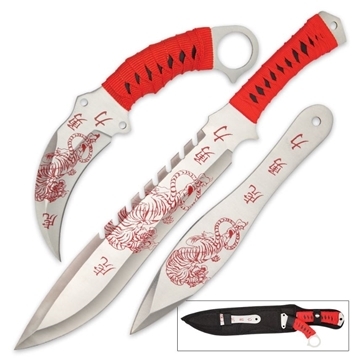 Laser etched design, cord-wrapped handles, 17” machete, 8” karambit, 8” thrower! 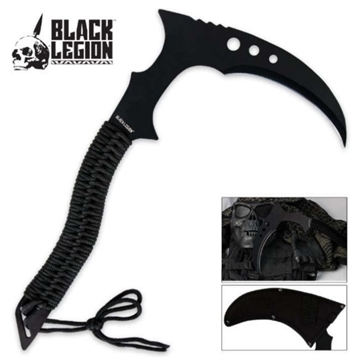 With Black Legion, you'll always be prepared for the next zombie horde, whether you're huddled in the trenches or hiding out at home. 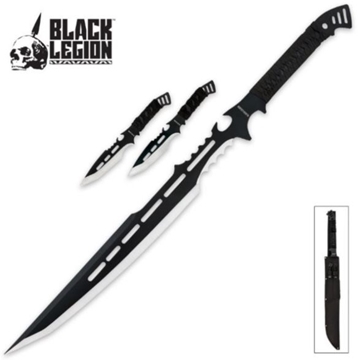 Full tang black and chrome sword with two throwing knives included! 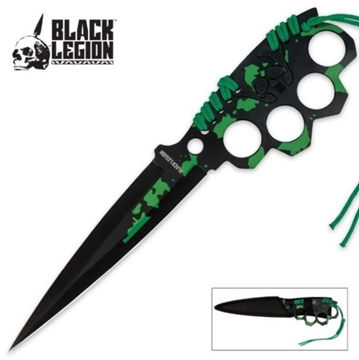 Slash away with ninja stealth and prowess with this powerful full-tang tanto blade, only from Black Legion.